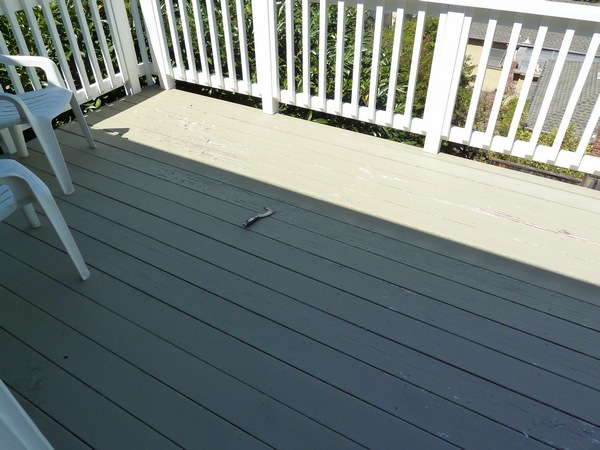 Or perhaps a better title - how not to paint a deck. I first noticed a problem with our balcony when I hosed it off for our July 4th housewarming. The paint flew off in chunks, along with the dust and dirt! So we knew we'd have to fix it up again before the rainy season came back. We started by chipping as much of the loose paint off as possible. We borrowed my grandmother's sander to smooth things down, only we broke it and had to buy a replacement. Apparently you're not to press down on it with all your might while it's running. Over stresses the gears and what not. Mmmhmm, did I mentioned we both minored in physics? Embarrassing. I really wish the deck had been stained to begin with, because this was a lot of work! We decided to paint a little lighter than the original color. 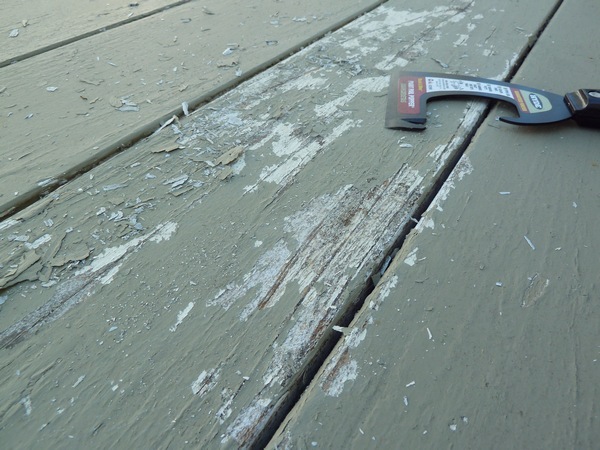 The deck was chipping the worse in the areas where the sun exposure is the strongest, so my thinking was that a lighter color might help "reflect" a little more of that sun damage away in the future. Yesiree, there's the physics talking again. We used Behr deck paint in clay pebble color. 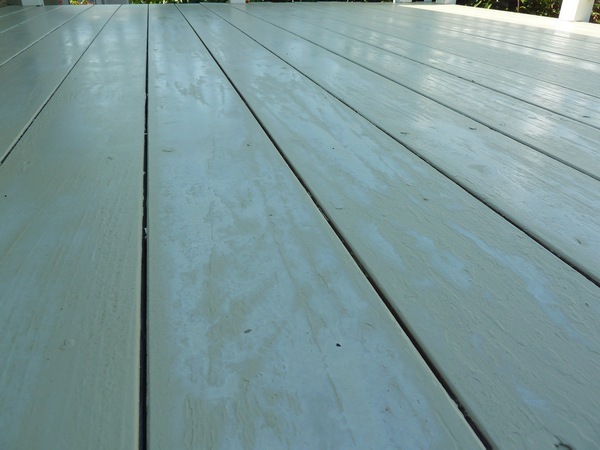 Apparently deck paint is made to be scuff resistant, so when you walk on it with shoes there won't be footprints all over the place. Not that we're wearing shoes. We painted with roller brushes, which I have no idea is the correct method, but it seemed to work. Though there was a little paint drippage down through the cracks to the lower deck which I still have to remedy. We also did all this painting after work, so it was always a race against the sun! 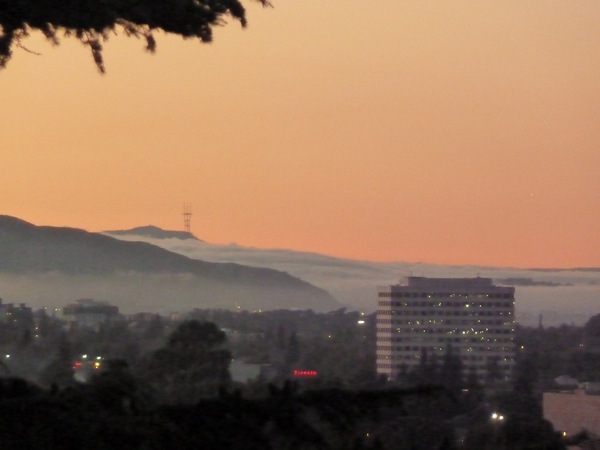 Fog rolling in around Sutro Tower. The next day it looked good - but still you could see some of the previous dark paint underneath. A second coat of paint was in order! The paint had pooled up and dried all strangely! Blech. 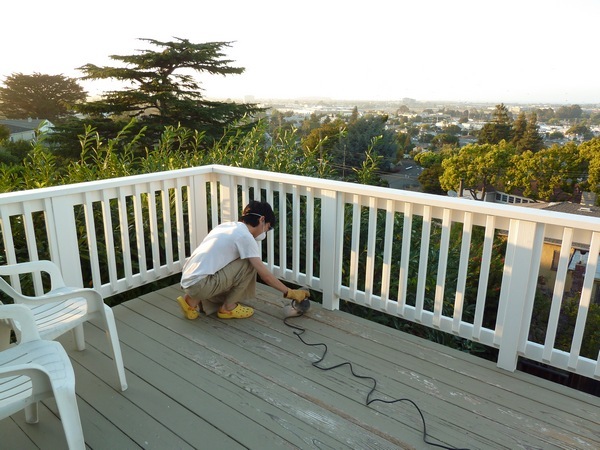 It was at this point that we had guests come over, so at least we had a funny story to tell about how we are deck painting inept. The last coat of paint went on (with all our hopes and patience) Sunday afternoon, so as to avoid another cold-night-no-dry scenario. 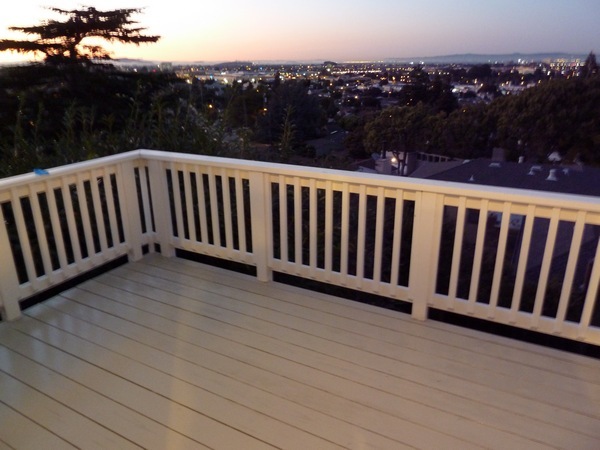 Now after reading Palindrome's post about her own deck, I really want to dress it up all romantically - strung lights, a cushy love seat, Snuggies for when Sak gets cold...What? Snuggies aren't romantic? Have you painted in the dark before? What's your must-have item for a romantic outdoor spot? 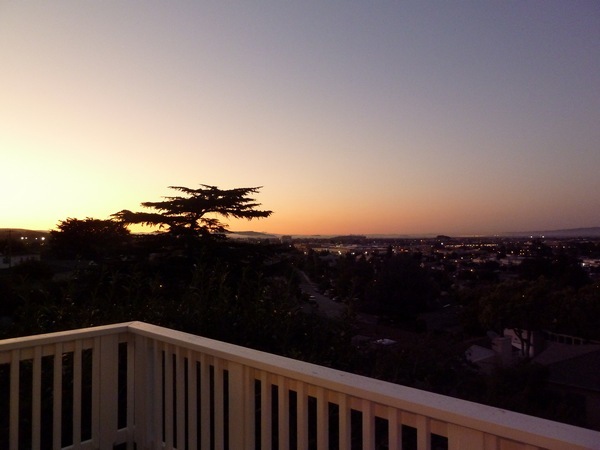 oh the views from your deck! you've been holding out on us! 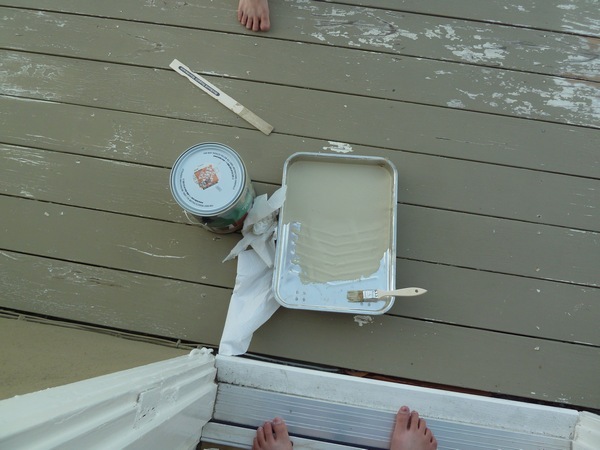 i don't know the first thing about painting a deck, and probably would have somehow set the neighborhood on fire in the process. It turned out really great in the end! I can't see any lumps in the photos at least. And I LOVE your view! Snuggies for 2 totally romantic. Looks absolutely fantastic!! Worth the work (though, I didn't work on it, so what do I know?)! A little bistro table with your cushy loveseat and snuggies sounds divine, especially in the Bay Area. Your awesome view makes me so homesick! Your view is to die for! Amazing sunset! 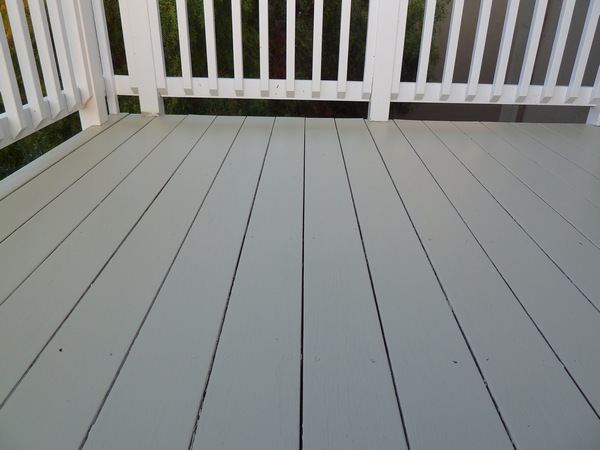 The hardest part about moving into a place is that with limited funding, you have to work with what you have - I think you guys did a great job working with the painted deck and I can't wait to see how you furnish it! I love the color - and I'm SO jealous of that view!! 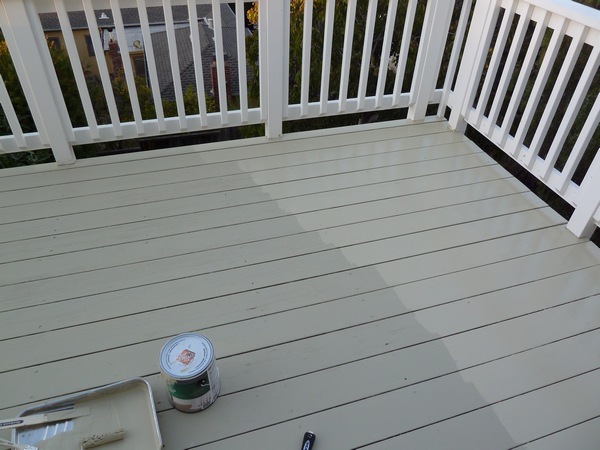 Impressive... you work that deck paint. Make it do as you like. Looks great. 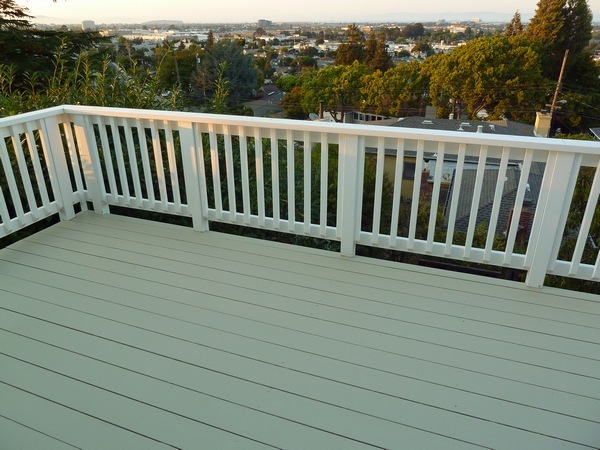 Your view is amazing and your freshly painted deck is gorgeous. Its doing well! Only one major chip but that's because I scraped it with a metal chair leg on accident. Good luck with your deck! Hi Penga, I thought I would put all my questions in one comment area. 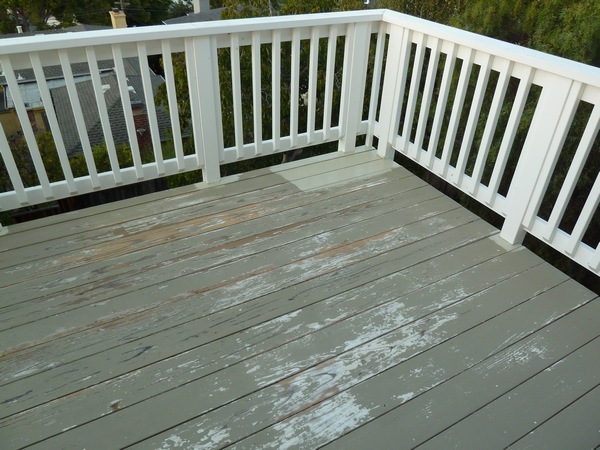 We used behr porch & deck paint since I thought stain was only for wood not previously painted. 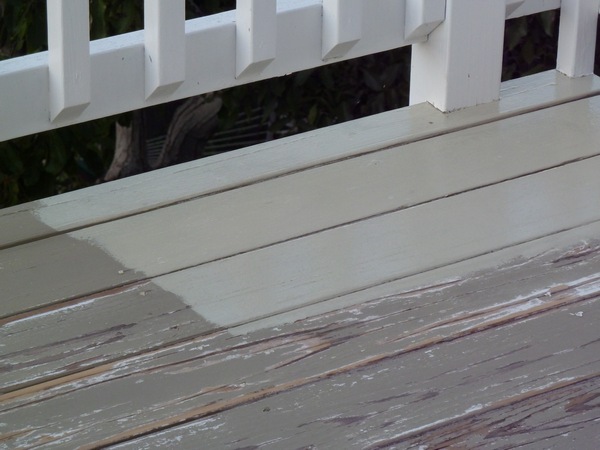 If your wood isn't painted already, stain may be a better option as it's longer lasting. The railings were previously painted in the above photos, but we touched it up with a fresh coat of paint this summer. 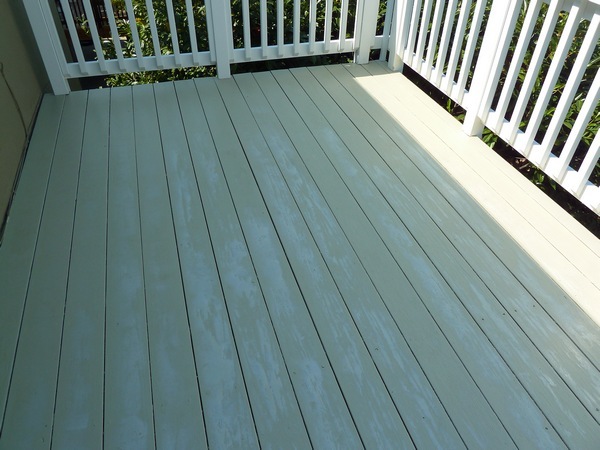 We used outdoor trim paint in semi-gloss white. I can't remember the brand, but it wasn't anything fancy, just plain outdoor labeled paint. Hope that helps a little! Hey, thanks, that is great information. I am glad I happened upon your page. Best of luck!